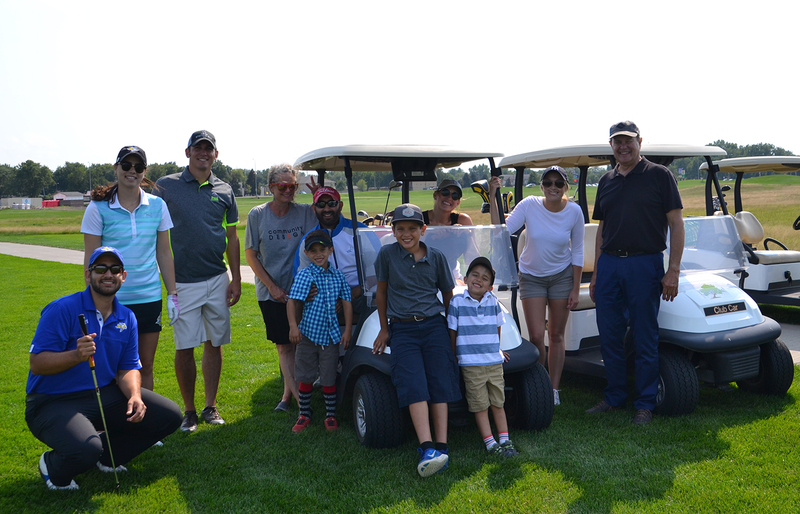 Koch Hazard Architects hosted the 5th Annual Hazardous Golf Classic out at Elmwood Golf Course in August. Koch Hazard Architects hosted the 5th Annual Hazardous Golf Classic out at Elmwood Golf Course in August. In addition to 9 or 18 holes of golf, attendees had a chance to play four on-course contests to win gift cards to downtown Sioux Falls businesses. Kevin Jackson won our giant marshmallow drive contest, EJ Wegener drove the ball the farthest with a kids club and Guillermo Gonzalez-Cebrian won closest to the pin on a par 3. The fourth on-course contest was Play Our Pro Guillermo. Our summer intern Gonzalez-Cebrian was a member of the South Dakota State University Men’s Golf Team for two years. Attendees had a chance to try and out-drive him on a par 3. Thanks to consultants from Associated Engineering Consultants Inc., Stockwell and SEA Inc., for joining us this year. CLICK HERE to view photos from our event.